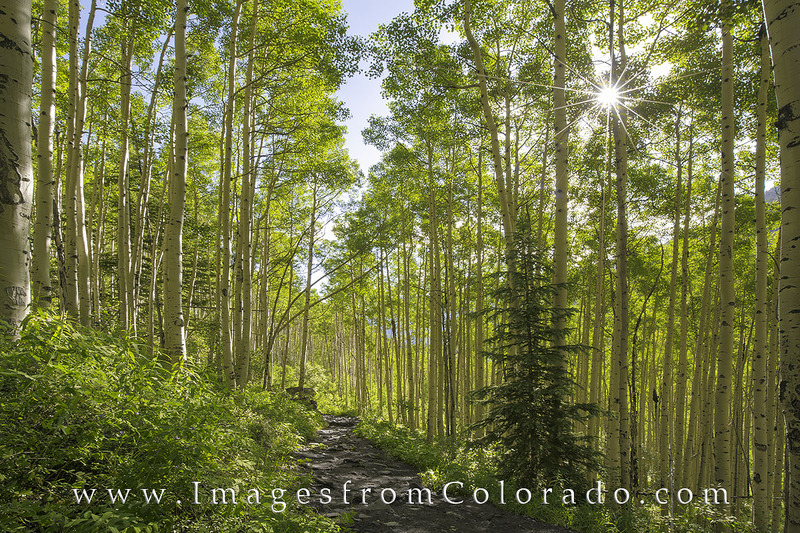 After walking to Crater Lake in the Maroon Bells Wilderness for sunrise, I had to pause here on the return trip to photograph the brilliant sunlight streaming through the summer Aspen trees. Just a bit further was Maroon Lake. Behind me, the iconic Maroon Bells. Photo © copyright by Rob Greebon.